Just keeping everyone aware of the looming deadline. Still holding out hope that someone may want to keep the site going. Along the years, I told to many people (yakers) about this forum and some join it. If this forum dies, there are lots of good fishing forum were we can find refuge. We can ask the admin there to create a dedicate section just for us the yakers. Soft water season is around the corner, will be good to decide what we are doing by then. Signed up for this over 2 weeks ago and still no admin has logged on to approve it. Not a good start nor am I impressed.... 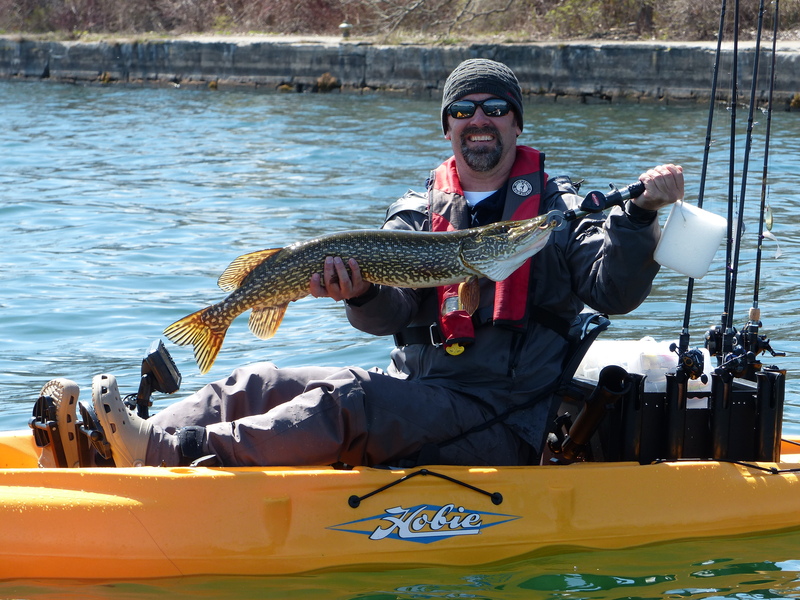 Honestly debating creating a Southern Ontario Kayak Anglers page on FB. Just not sure how much traffic it will bring. There's always canadiankayakanglers.com, Mike, but the problem lies with the users not the forums. It seems pretty much everyone wants to use facebook groups rather than the forums, which is a mystery to me because the forums are so narrowly focused on our kayak fishing addiction which is why I have always liked yakfisher. Thanks for posting the link-its a hit hard to find without the link. Nice that there is something but not sure it can replace the existing wealth of knowledge stored here and the organization of all the different sub sections. I suppose it can grow into it. I still dont have fb so i need some form of social media to have any clue what’s happening event-wise! There is still the option for someone to take over the site and save it from the jaws of death. PM me if it interests anyone. I don't quite understand the mass migration to Facebook when this forum is so perfectly focused on our yakfishing addiction but, as they say, it is what it is. Somebody please start a southern Ontario yakfisher group on Facebook. There's an active Kawartha group but that's not quite the same thing. Also, as a heads-up, we'll be doing another Silent Lake fun kayak fishing outing this coming summer. It appears it will happen on the weekend of August 9, 10 & 11 but I'll firm that up and start a thread in a month or so. 5 attended last summer and we had a great time fishing, camping, and tall tales around the fire. All are welcome but you'll have to book a site as soon as they become available 5 months to the day before the starting date. Enjoy the hard water and snow everyone and I'll see you in the spring (or maybe at one of the shows). Thanks Adam and Don for providing. Thanks Neil for steering me here. Thanks Marco for inspiration. Thanks to everyone who joined in hook-ups over the last ten years, proving to me that Yakfishers are some of the coolest people you could ever meet. If anyone still here is thinking about entering The Complete Paddler tourney at Guelph lake on Aug 10th, search for Guelph lake in topics only. You'll find 26 reports I've put up since 2009 including 3 in the same time of the year as the tourney. Not all the pics are still there but I always recorded water temps and levels that might be helpful. See you all on musky opener at Emily creek from now until whenever I check out . Thanks Adam for all the work! For years this site has been my go-to for keeping informed on yak fishing and meetups. If this site closes down it will be missed by me and many others here.